DELFI ORCHARD is located at 402 ORCHARD ROAD in district 09 (Leonie Hill, Orchard, Oxley) of Singapore. DELFI ORCHARD is a Freehold Condo development. Educational institutions like ISS ELEMENTARY & MIDDLE SCHOOL, CHATSWORTH INTERNATIONAL SCHOOL (ORCHARD), CHINESE INTERNATIONAL SCHOOL, ANGLO-CHINESE SCHOOL (JUNIOR), ANGLO-CHINESE SCHOOL (PRIMARY) and SINGAPORE CHINESE GIRLS' PRIMARY SCHOOL are near to DELFI ORCHARD. DELFI ORCHARD is accessible via nearby ORCHARD, NEWTON and SOMERSET MRT Stations. Living in the heart of Orchard road. Convenient with all facilities around yet quiet and peaceful. 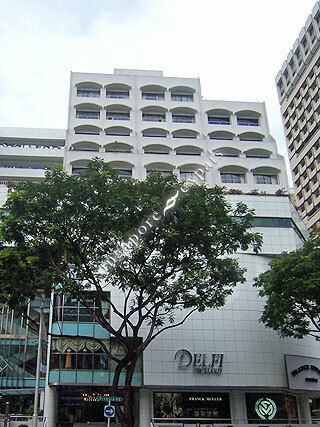 Delfi Orchard is minutes walk to Orchard MRT station. It comprises 23 units. It is close to several one-stop shopping destination such as Orchard, Takashimaya, Wisma Atria, Paragon where a suite of amenities can be found like supermarkets, boutique shops, banks, restaurants, eating establishments, cinema, library and more. Near to Singapore Botantic Gardens and esteemed clubs like Tanglin club and The Pine club. Vehicle owners, driving from Delfi Orchard to business hub takes 10-15 mins. Numerous feeder bus service are available. Close to local and international schools, Raffles Girls Secondary school, ISS international school and Oversea Family School.